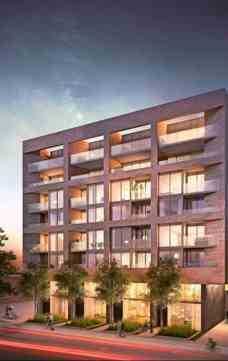 383 Sorauren Condos is a new condo and townhouse project by Gairloch and Centrestone Urban Developments Inc. currently in preconstruction at 383 Sorauren Avenue in Toronto. 383 Sorauren is a fresh approach to the traditional warehouse-style. Filled with all the modern conveniences you could ever want to fit your urban lifestyle. 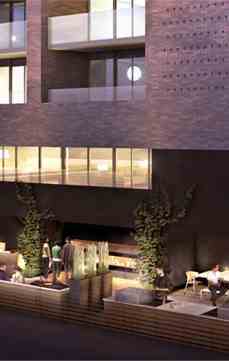 Its mature look and feel and private outdoor spaces capture the energy of the community perfectly. Say hello to all the best Roncesvalles has to offer. Builders : Gairloch Ltd. & Centrestone Urban Developments Inc.
Main Intersection : Dundas St. West & Sorauren Ave.
Unit Size : From 470 Sq. Ft. To 1500 Sq. Ft.
383 SoraurenBuilder(s): Gairloch Ltd.,Centrestone Urban Developments Inc.